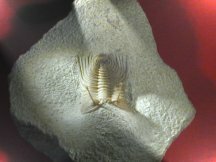 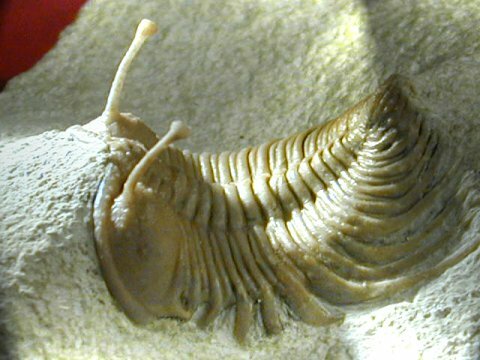 Coming from the Lower Ordovician Kunda level deposits of the Wolchow River region near Saint Petersburg, Russia, this is an example of the unusual trilobite Cybele bellatula, a member of the Order Phacopida, Family Encrinuridae. 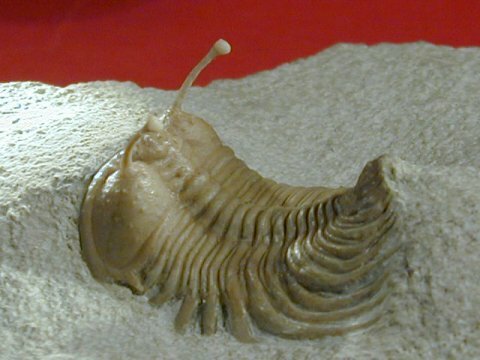 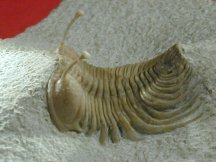 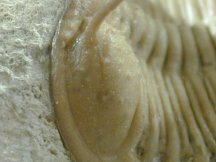 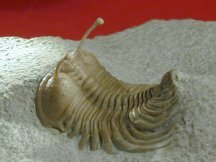 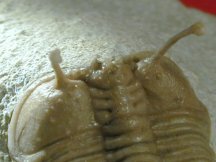 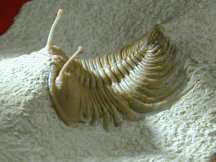 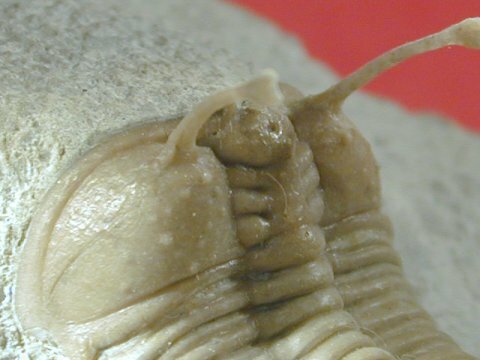 Riccardo Levi-Setti coined the term "Butterflies of the Sea" for trilobites, and this one fits that apellation to a T. The spines may have served a "snowshoe" function, keeping the trilobite near the surface of an unstable bottom, perhaps with the eyestalks exposed to search for predator and prey alike. 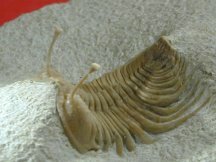 Cybele bellatula is a small trilobite (maximum size about 45 mm) with numerous interesting morphological features: deep, thin lateral furrows; high eye-stalks, exceeding in length the cephalon, with extremely small visual surface; eye-stalks that are about 1/64th inch diameter; glabella covered with small tuberkels; etc., see pics. 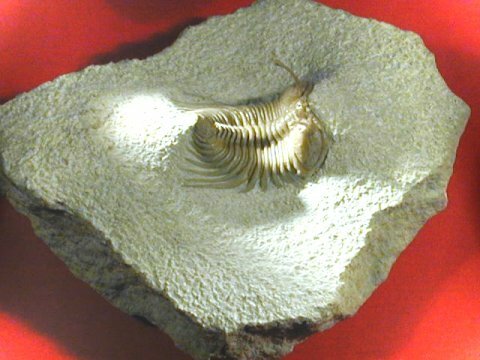 This older Ordovician trilobite also occurs in Sweden and Norway. 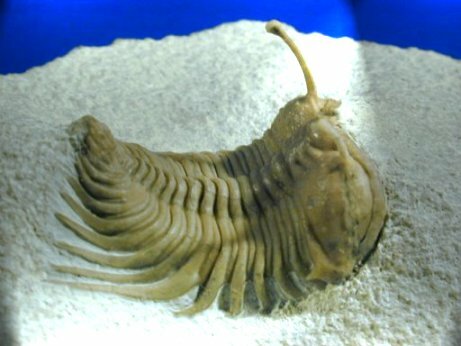 Cybele - Mother Earth Goddess - ancient Oriental and Greco-Roman deity that represented Gaia, the deified earth.